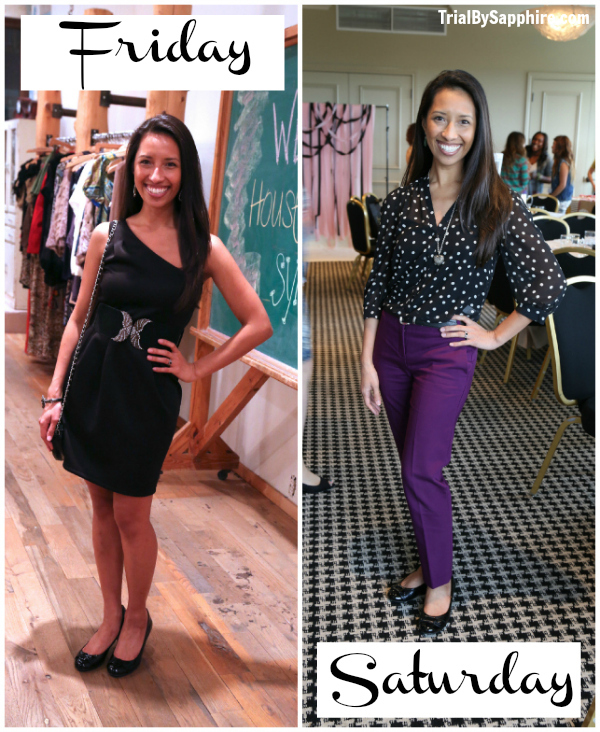 I had the great privilege of attending the Houston Blogger Symposium this past weekend! 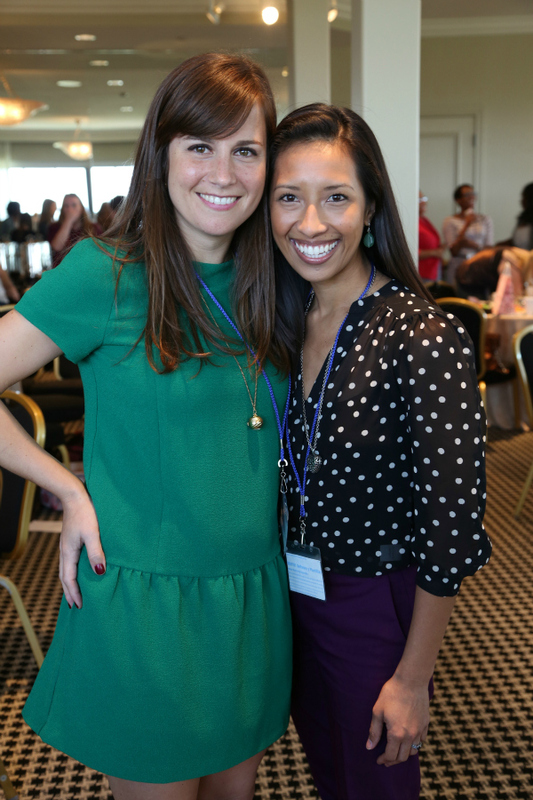 Megan Silianoff from Greetings from Texas had a vision, and man, did she run with it! With the help of some trusty friends, she put together one amazing event! I left feeling incredibly happy and more connected to my local bloggers. It was a good reason to get dressed up (something I never get to do)! I guess you would call this my default pose. The kick-off event was at Langford Market on Friday night, and it was nice to meet some new faces and hangout with my favorite familiar faces. By the way, Langford Market is awesome. It's like Anthropologie with Francesca's prices. If I loved shopping, my wallet would be in serious trouble! 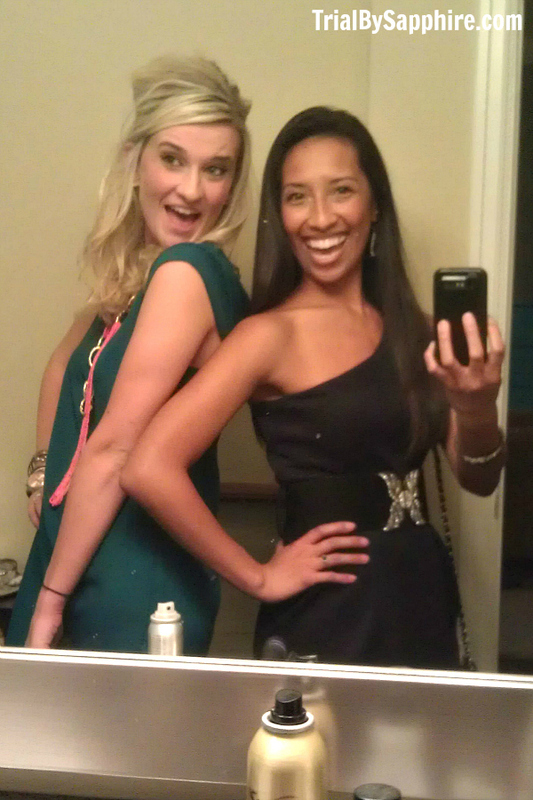 Got ready at Meg's apartment "High School Prom" style! 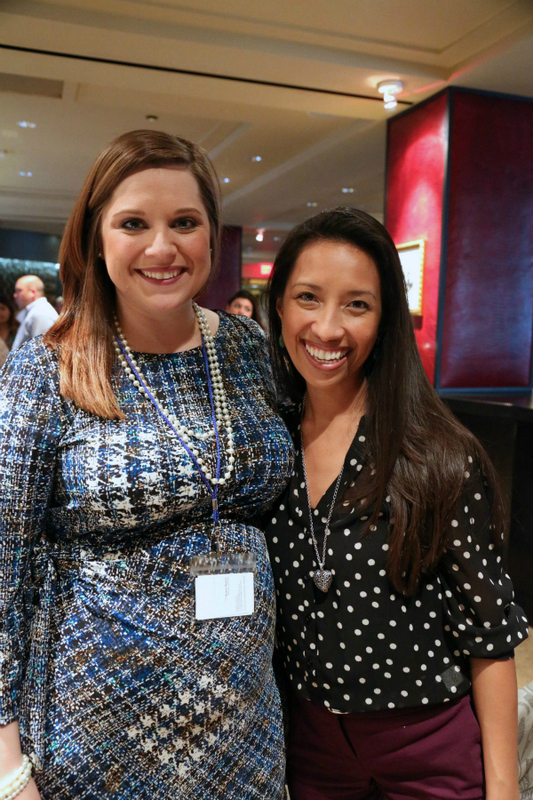 The symposium was hosted at Hotel Zaza on Saturday, and it was seamless from start to finish! There was plenty of time and space to mingle, a breakfast was prepared for us, the agenda was listed in the programs (beautifully designed by Kirsten who also did the event site), and it was just plain FUN. The panels were designed with all bloggers in mind, from DIY to motherhood to fashion to photography to lifestyle. 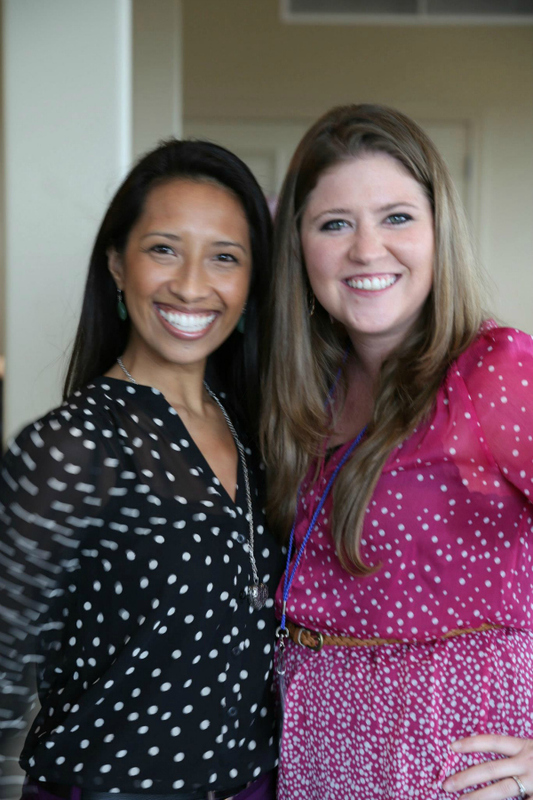 They shared their blogging tips, sponsorship advice, and P.R. knowledge. 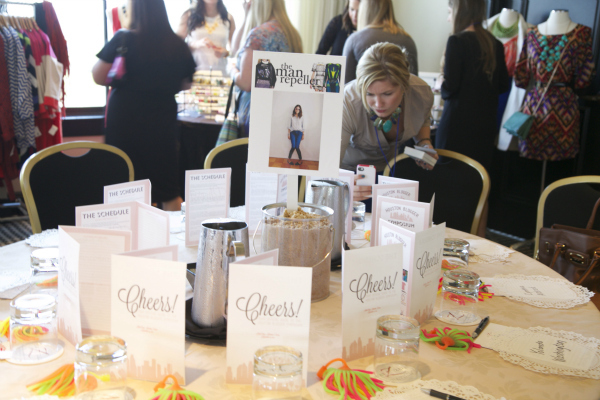 There was plenty of time for Q&A, networking, socializing, and shopping at the sponsors' tables throughout the room. Oh, and drinking champagne. I know, faaancy, right? 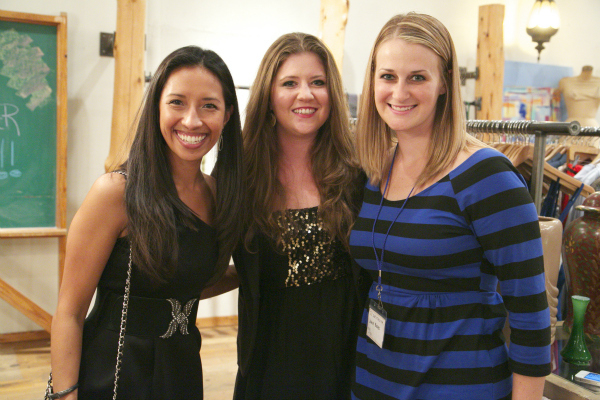 I was most excited about meeting Kristina and Megan! We ended the day by congregating at the Monarch bar in the hotel for some delicious drinks and good conversation with friends. 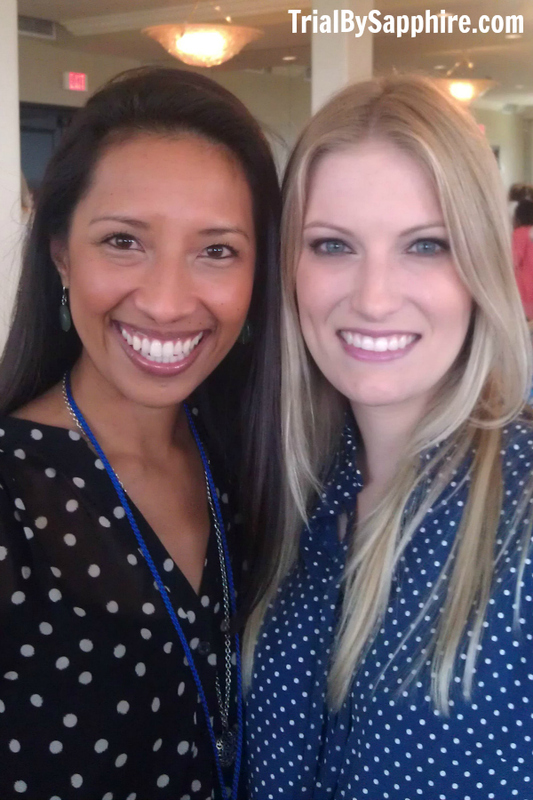 With Michelle (of Oh, How Pinteresting fame), the first Houston blogger I ever "met." I love her! Can't wait to meet Baby Apple! I'd like to thank Meg for being my partner in crime for the event and for photographically documenting the event. I would also like to remind her that she is no longer permitted to sit in the back seat (unless we want another sitting-on-the-ground-in-the-parking-lot-because-I-think-I'm-going-to-throw-up episode... fun times!). ** All of those professional-looking photos? eeeeeek!!! Just looking through these pictures makes me excited about it all over again!!! I'm SO glad that we both got to go!!!! What fun! Everyone looks so lovely, and it looks like a great time was had by all! I love that black dress of yours. This looks SO fun and helpful. I wish I could have been there! 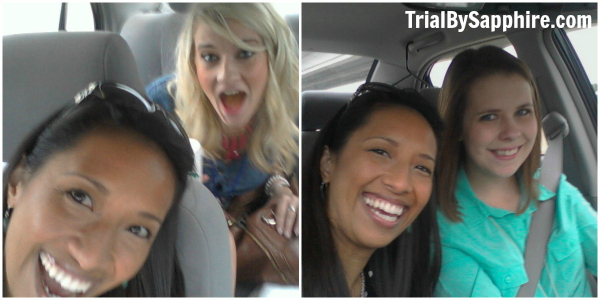 It was so much fun hanging out with you Friday and Saturday! Can't wait to hang out again soon! So glad I got to meet you face to face this weekend! Aww- you are so beautiful! Looks like you had a great time too!!! I'm so sad I missed out! Hopefully the next one I will be able to come! I love reading the recap posts! It makes me want to relive the weekend!!! So glad I got to hang out with you!!! I'm so jealous!! Amazing women coming together and talking about my favorite hobby!! I love it!! oh crap, hahahahaha, sorry about the repeats up there!! umm your outfits were fabulous!!! glad you had fun! That looks like so much fun! Love all of your outfits. You look amazing in those pictures! You all do! That sounds like it was an awesome event..I'm glad you had fun!! HOW MUCH FUN!!!!!! Looks like you girls had a ball. Thanks for sharing it with us! Oh, and btw, I am just as excited as you are about the SYTYCD final results. Can't wait to see the tour now! Woohoo!!!! LOVE these events through what I see from everyone blogging about em. 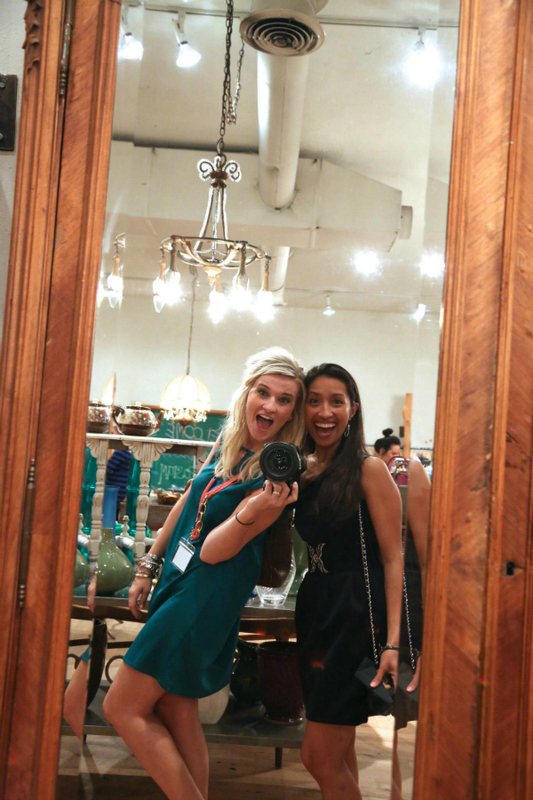 I have yet to attend my own blogging meet up, but aspire to one day! ALL smiles, and your outfits are adorbs girlie!! Doesn't hurt that you have PERFECT hurr!!! I Like Free Stuff, and I Cannot Lie.